Hashtags are an essential part of social media campaigns. Marketers use them to bundle posts about certain topics on social media, to spread their message beyond the existing fan base and measure a campaign’s success. Instagram hashtags, specifically, are a very important content source for many Walls.io users. You might have heard rumours about various Instagram API changes. There’s no point sugarcoating it: those changes are coming and, yes, they will affect Walls.io just like every other social wall tool as well. We’re not super happy about the API changes but we are doing everything we can to make the switch as smooth as possible for our users. The good news is that our development team already implemented the new Instagram Graph API in Walls.io and passed Facebook’s review process. So we have already taken the biggest hurdle. Unfortunately, to complete the switch for each user, there are steps to take which only users themselves can perform. But don’t worry, we’ll walk you through everything step by step. The old Instagram API is turned off since December 11, 2018. As a consequence of the Cambridge Analytica scandal, Facebook (which owns Instagram as well) took a lot of steps to protect user privacy and prevent abuse of data. Earlier this year, Facebook already deployed multiple API changes for both Instagram and Facebook and announced further changes were coming. As part of these changes, Facebook will shut down hashtag search via the old Instagram Platform API on December 11, 2018. Instead, the new Instagram Graph API will offer hashtag search — but only for business accounts and in a much more limited scope. The new API severely restricts how applications can aggregate data via hashtags. Essentially, apps are now much more limited in how often and how many posts they can pull. 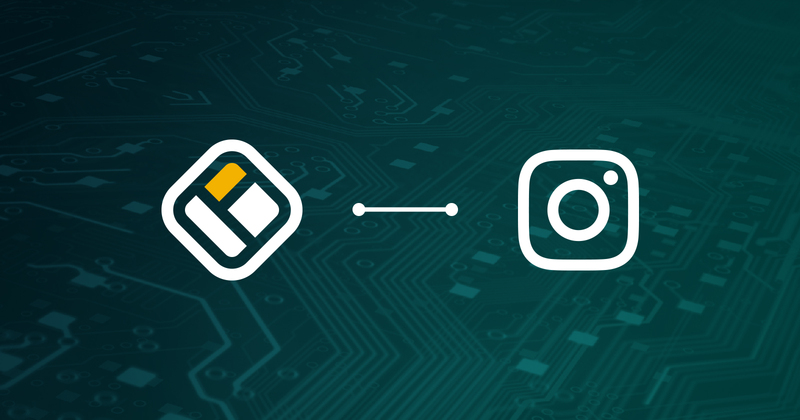 The Instagram Graph API is built for accessing data for businesses, so to add Instagram sources to a social wall, you will have to connect an Instagram Business account to Walls.io. You will no longer be able to use an Instagram personal account. Swapping your personal account for a business account isn’t the end of the world, although there are certainly use cases where this will feel rather cumbersome to users, e.g. wedding walls and other private uses. Looking at the bright side, there are many advantages to switching to an Instagram Business account such as access to analytics, the possibility promote your posts or add contact information to your Instagram profile to name but a few. If you add a hashtag as an Instagram source to your wall, the posts coming from that source will be completely anonymous when displayed on your wall. They will not contain the user’s profile photo or username, not even in the popup that you get when you click on a post. However, if you then click on the post again, the link will lead you to the user’s Instagram account. Unfortunately, the new API doesn’t provide geolocation information at all. This means that Instagram posts won’t show up on the Walls.io Map theme anymore. A wall with a Map theme that is using only Instagram as a source, will remain empty. However, geolocation information can still be pulled from other sources, so your Twitter posts etc. will still show up on your social map. When you add a new Instagram hashtag source to your social wall, we will only fetch the public Instagram posts published with this hashtag in the past 24 hours. So you can’t pull posts from too far in the past anymore. But an easy way to avoid this issue is to set up your social wall in time — before you need it. By setting everything up long before the hashtagged posts start rolling in, you can make sure you don’t miss out on any posts. Additionally, the posts coming in via hashtag sources will not automatically have a timestamp. However, we can fairly reliably guess a timestamp based on when a post enters the system and will display that time. When you first set up a new source, the timestamp can be off by up to 24 hours but for any new posts coming in after that, timestamps will be more precise. The Instagram Graph API only allows Walls.io to fetch posts for hashtags that have been used on Instagram before. This means that users cannot add hashtags as sources if they have never been used on Instagram before. An easy way around this is to simply publish a dummy post on Instagram using the hashtag and then try adding it to your social wall. We can only fetch a maximum of 30 unique hashtags on behalf of an Instagram Business account within a rolling 7-day period. A hashtag will count against this limit as soon as it is queried. For example, if you add a hashtag as a source, but then decide that you don’t need it, it will still count against the limit. The easiest way to avoid scratching the 30-hashtag limit is to think twice before adding a hashtag as a source. And if you do hit the limit, wait 7 days to make changes. Since the posts coming from an Instagram hashtag source will be completely anonymous when displayed on your wall, you will not be able to use the whitelist or block an Instagram user. Adding a user to the blacklist in the automatic moderation settings will also not be possible. Finally, some good news: The quality of the post images we get via the new Instagram Graph API is 4 times higher than in the old API. This will improve the display quality, especially for social walls using the Kiosk or Billboard theme. Some more good news: The new API helps us display more posts for high-volume hashtags. The old Instagram API only sent us a few posts every minute for hashtags that have lots of posts such as #cat. That meant that if your hashtag was very successful, you might not have seen all of the posts using it on your social wall. The new API allows us to get dozens of posts each minute for high-volume hashtags, so more posts will now show up on your wall. Walls.io has passed Facebook’s review process for the Graph API and has migrated to the new API. However, we, unfortunately, cannot migrate our users’ sources and posts for them. This is something that each user has to do for themselves. Fortunately, this is a fairly simple process. On your mobile Instagram app, go to your profile, tap the menu icon in the top right and then the settings cogwheel in the bottom. Scroll down until you find the “Switch to business account” option. You’ll then also have to connect your account to a Facebook business page for it to work. You can do this directly when switching to an Instagram Business account or you can do it later under Settings > Linked accounts. If you are a Walls.io user and have Instagram in your list of sources, you will need to update your wall’s sources manually, adding them as Instagram Business sources and removing your old Instagram sources. We’ve put together a guide to help you easily migrate your Instagram sources to the new Instagram Business source. Admittedly, we weren’t thrilled when we first found out about the API changes Instagram was planning to introduce. But we’re happy to say that after we saw what we were dealing with, we have found ways to make the changes as painless as possible for our users. And not all of the changes are bad, after all 🙂 We hope that once users have migrated their Instagram profiles and refreshed their sources in Walls.io, they won’t feel affected by the changes in their everyday use of Walls.io. If you have any questions or difficulties when migrating your sources, please don’t hesitate to contact our support team.